If I’m craving something sweet the last thing that will satisfy me is a rice cake. To a certain extent, we are all emotional eaters. 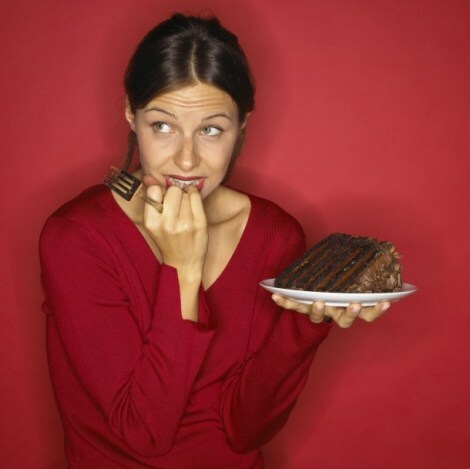 We are wired to eat emotionally from a young age. Cuddling with mom or dad while eating, cookies for a job well done at school, I think you can see a pattern emerging. I’ve never had much luck telling my chocolate craving clients “oh come on, just put down the candy and have this carrot stick instead”. 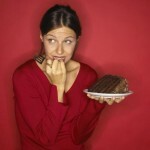 After years of experience in this area (with clients and my own cravings) I have discovered two ways to handle cravings. Distraction: I have a list of about 3 things that can distract me from a food craving. I might go and do my workout for the day or just a quick walk out to my car. I might call a girlfriend to catch-up or make myself a cup of tea or coffee. What I’ve noticed is that if I can distract myself with these activities, it wasn’t really a craving, more than likely I was just bored. Just eat the darn cookie! Here is my process: I ask myself, do I really want it or am I just bored? If bored, the above distractions will usually work. I “mindfully splurge”. I pick a 100-200 calorie splurge (rich dark chocolate instead of milk chocolate). And then I totally focus on the goodie-I see it, smell it and slowly eat it-NOT IN FRONT OF MY COMPUTER. If I do treat myself to a sweet treat-never on am empty stomach. If I crave a sweet treat late morning I make sure I have a little protein before I indulge. This is usually a couple of bites of my turkey sandwich.